A Life of Our Own will empower the reader to live a more fulfilling and authentic life, regardless of challenging circumstances. It offers twelve stepping stones to help anyone navigate through difficult times, especially when life doesn't go according to plan, or when it changes dramatically due to a life-changing event. 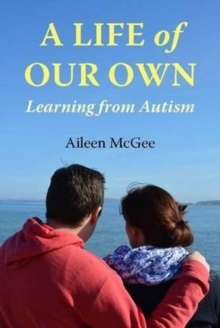 The book is inspired by the author's autistic son, Cian. Cian is mostly non-verbal. Words do not come easy for him, but when he speaks his words have proved to be meaningful and often profound. The author shares her son's wisdom with the reader and demonstrates how his insight has taught her how to live a life of her own against the odds. Each of the twelve chapters contains a stepping stone inspired by Cian's simple words and messages: 1. "All broken"- examines brokenness and the road to acceptance so healing can begin. 2. "Sad" - gives the reader permission to grieve. 3. "Shush! "- explores the gift of silence in a fast paced world. 4. "Sor-ree" - gently encourages the reader to heal the hurting heart. 5. "Never mind"- empowers the reader to let go and mind less by living in the present. 6. "All done now" - prepares the reader for a new beginning. 7. "Press the button!" - brings the reader back to their passions and back to themselves. 8. "Feck's sake, Jeo quist!" - is a little reminder that Rome wasn't built in a day. 9. "Giggles" - instills fun and laughter along every step of the journey back. 10. "Duh worree" - demonstrates how the reader must ignore the crazy fears and do it anyway. 11. "I lu vu" - reflects on the power of love of loving ourselves and others. 12. "Chocit Cake?" - A stepping stone to celebrating life just as it is.